For all teams using LCD to display ScrumDesk reports we implemented refresh of reports every 5 minutes. It can be turned on or off on Reports page in the upper top corner. 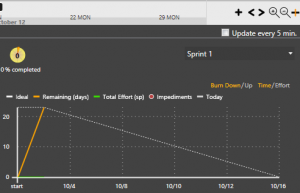 Scrum teams often calculate capacity of the team by using concept of ideal days. You do not need any excel to calculate then anymore. 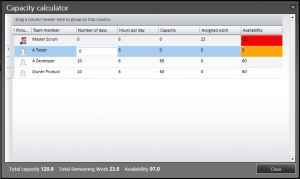 Click Planning menu item and them Capacity planner button in status bar. The planner shows statistic of total capacity and availability of the team. Charts were not precise in case of parallel editing of tasks without previous refresh operation. 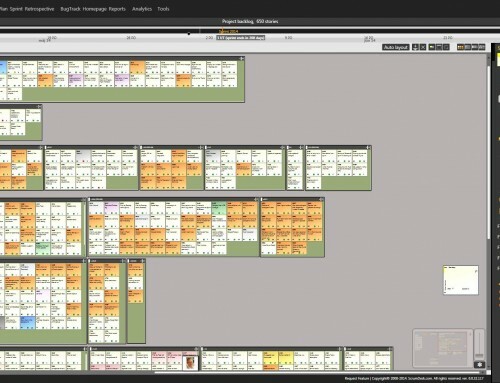 We changed the way how data are processed so they are refreshed before charts are calculated. Also, charts are now updated immediately upon change so they should reflect the current status of the board even board is not refreshed. Refresh is still necessary to update backlog as auto refresh of stories/tasks is not available yet. 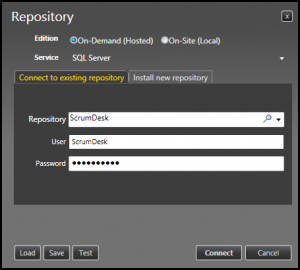 New repository can be installed from ScrumDesk without any other tool. 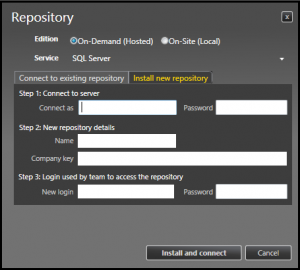 Till today, it was necessary to use repository installation tool. We still support this scenario, however integration of setup procedure allows to start use ScrumDesk faster. Repository dialog has been redesigned to better support On-Demand (hosted) repositories as well. Our beloved ScrumDesk for Windows is retired!